Please take a moment to read through what information we would like to collect about you, who we share it with and how they might use it. We do not share data for marketing purposes with third parties. 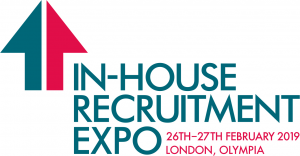 This policy relates to the data collected in connection with In House Recruitment Expo London held on 27-28 February 2018 at Olympia, London. It does not cover any other data processing activities conducted by VAB Events, its official sponsors or partners. 1. WHO CONTROLS MY PERSONAL DATA? 2. WHAT IS THE PURPOSE AND LEGAL BASIS OF THE PROCESSING? At In House Recruitment Expo 2018 – VAB Events Ltd will rely on ‘legitimate Interest’ to process personal data, as defined by the new General Data Protection Regulation (GDPR) standard of ‘legitimate interest ’ as it’s legal basis for processing personal data. GDPR defines legitimate Interest as ‘ necessary for the purposes of the legitimate interests pursued by the controller” as defined in articles 6(1) (f) and Recital 47 affirms direct marketing as a legal basis for processing by the Controller or Third Party provided that the interests or the fundamental rights and freedoms of the data subject are not overridden. 3.  What are VAB Events Ltd Legitimate Interests? · By providing your personal information to VAB Events and subsidiary brands In House Recruitment Expo /In House Recruitment Summit upon registering to visit an event you have accepted that you understand and accept this as a valid legal basis for processing your personal data. · Data will be shared with event suppliers as at 28/03/2018 for the purposes of delegate management, and post event marketing. · Your personal data will not be shared with any third parties unconnected with In House Recruitment Expo 2018. 4. WHAT DATA WILL THE CONTROLLER COLLECT AND PROCESS? Your name, date of birth, e-mail address, postal address, telephone number and fax number (to the extent permitted by the Data Protection Act 1998 and related legislation (“the DPA”) and as defined within GDPR ‘ necessary for the purposes of the legitimate interests pursued by the controller” as defined in articles 6(1) (f) and Recital 47 affirms direct marketing as a legal basis for processing by the Controller or Third Party provided that the interests or the fundamental rights and freedoms of the data subject are not overridden. · No links to personal or private websites – even if they are in the public domain will be collected, stored or processed. · Any data which you provide when you complete and submit an application to VAB Events Ltd to register on its website(s) or receive email alerts or other communications from VAB Events Ltd subsidiary brands In House Recruitment Expo/ In House Recruitment Expo Summit. · Any other data, which you provide to VAB Events Ltd when you enquire about our activities, email, telephone or write to us or otherwise provide us with personal information; and data you provide VAB Events Ltd during any transaction with us. · VAB Events Ltd (or any of its sub-contractors) may also receive information about you from third parties, for example a friend who wants to tell you about one of our websites. 5. WHO WILL HAVE ACCESS TO THE DATA? 6. WILL THE DATA LEAVE THE UK? IF So, WHAT SAFEGUARDING MEASURES ARE IN PLACE? VAB Events Ltd will not permit data to be transferred outside of the UK without the submission of a satisfactory proof of safeguarding and certified privacy shield as laid out in the Legitimate Interest Assessment (LIA). 7. HOW LONG WILL THE DATA BE KEPT FOR? All Data Controllers will be required to deactivate personal data after the relevant retention period, or when they are in receipt of a data subjects request to do so, whichever is the earlier. The data subject has the right to change their mind and withdraw consent at any point during the retention period. Access to the event known as In House Recruitment Expo 2018, and its associated sessions, networking, facilities and materials are not dependent on consenting to share personal data. Data subjects must still pre -register their attendance prior to attending with In House Recruitment Expo/ In House Recruitment Expo Summit but may decline consent to share data.